Camille did a great job helping us purchase our home. She tirelessly showed us homes, answered our calls and made the whole process from start to finish easy! She always s has a sweet disposition and smile. I highly recommend Camille and would use her as our realtor again in the future. We are exceptionally happy with our new home on Casey Key. Our agents Mark McCann and Camille Schwabe not only directed us to the perfect area, but found us the exact property we wanted. They were accessible, knowledgeable, responsive, and courteous to us throughout the entire process. They represented us well when negotiating the purchase price of our new home. We could not be more pleased with our buying experience. Even after the sale closed, they continued to be available and helpful as we transitioned into our home. We also had the pleasure of engaging with the seller’s agent, Deborah Beacham; she was delightful, very knowledgeable, and professional. - Joey & Tracie L.
Camille was so very helpful to us answering all of our many questions about Siesta Key!! I definitely recommend that you see her for your real estate needs!! Camille is amazingly detail oriented and professional! She had my back every inch of the way. I would recommend her to anyone looking to invest in the Sarasota area. She is top notch! Tina Walsh Jacksonville, Fl. If I had to choose two words to describe Camille Schwabe, it would be passionate and professional. Passionate about buying and selling property, passionate about her chosen profession and being part of the prestigious Michael Saunders team, and passionate about the joys of living in the Sarasota area. Camille's attention to detail was evident the entire time from listing the property to finalizing the sale. We feel the successful sale of our condo in an amazingly short time is the direct result of Camille's drive, dedication and, of course, passion and professionalism. Thank you ever so much, Camille! Mary and Joe G.
You were exceptional in helping us sell the house and will always keep you in mind for any future moves. I also want to compliment your association with Michael Saunders & Company. Excellent experience. Totally knowledgeable about the property and had all the info to back it up. Camille went above and beyond to make the stressful relocating of a home as perfect as possible. She truly helped make my new house my home. In addition, she has excellent follow through skills, excellent personality and ability to deal with a variety of people involved in the purchase of a home. 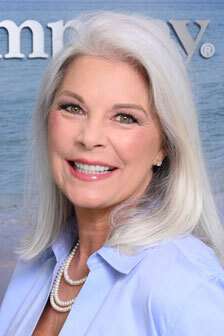 I highly recommend Camille and have already referred her to "snowbirds" interested in her Sarasota Sunshine. Camille was great. I cannot say enough positive things about her. Camille was always available, responsive and concerned that our needs, wants and concerns were met. She is very patient, persistent and knowledgeable regarding the market. I felt I was in good hands with Camille. She is a great person. One of a kind. I wish her the best. She deserves it. Camille was inhibited by an out of town client who required certain specific restrictions on stagings and showings that a normal client would not request. However, she did an excellent job of selling that Florida sunshine for me with a pleasant and optimistic attitude. I would not hesitate to list other properties with Camille or ask her to find a property for me if I were looking to buy. Whatever I asked her to get done for me in the selling process, she was pretty much able to accomplish. Camille was a pleasure to work with even if it was just by phone or email. Friendly, accessible, and always professional were traits Camille displayed every time I spoke with her. Working with Camille was a good experience.